Complete security, convenient access, and competitive returns. DCU is always great in all respects. I have been enjoying DCU for the last 15 years. Competitive dividend rates – Most of the high value savings products available to all DCU members are available to your business with typically at the same great rates and terms. Savings Account – Open one under your business name. It offers a competitive dividend rate and is the key to unlocking the door to DCU's other quality products and services. Tiered Money Market Account – With a low minimum investment, you can earn competitive dividends above the basic savings account in a Tiered Money Market Account. The greater your balance, the higher the dividends you earn. All funds can be withdrawn anytime, 24 hours a day, with no minimum withdrawal amount. Certificates – With a low minimum balance, DCU Certificates allow you to lock in our highest rates and maximize your return. Choose terms from 3 to 60 months. Two IRA options for your employees – Our IRA Certificates, Money Market IRAs, and Savings IRAs may all be used as with employer-sponsored Simplified Employee Pensions (SEP) and Saving Incentive Match Plan for Employees (SIMPLE). Learn more about our IRA choices. 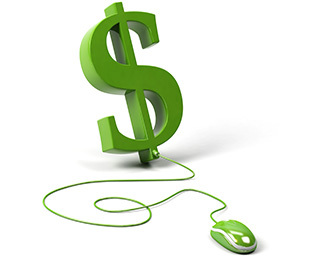 Online Banking – You get free 24-hour internet access to your business accounts. Mobile Banking – You get free 24-hour access with your iPhone, iPad, Droid phone, and nearly every web-connected mobile device. Online Deposit – Deposit checks free by scanner or the camera in your smartphone or iPad2. Easy Touch Telephone Teller System – Make transfers, withdrawals by check, and more. Just call 508.263.6700 or 800.328.8797 from any touch-tone phone and select 6. Easy Touch is free and is available 24 hours a day. DCU ATMs – You can make unlimited withdrawals, deposits, transfers, or verify your balances free at our conveniently located DCU ATMs. Balance inquiries and withdrawals are $0.75 each. Some institutions may charge you extra to use their ATMs. Terms and conditions of DCU's Business Accounts and available products and services are printed in DCU's Truth-in-Savings Disclosure and Account Agreements, Electronic Services Disclosure and Agreements, and Certificate Disclosure and Agreement. Fees and/or Service Charges are printed in DCU's Schedule of Fees and Service Charges. Current rate information is printed in DCU's Rate Information sheet. All of the above are available at any DCU Branch or by calling the Information Center. Business Savings Accounts is rated 4.3 out of 5 by 10. Rated 5 out of 5 by ATechGuy from Been a DCU member for over 35 years, why wouldn't I trust DCU for my business? Every time I went to a local bank and asked them to compare their offerings to DCU, they always said, "We simply cannot compete with DCU". We recommend you go with DCU if you have the chance. I wish that DCU would work a little more with me. Above a certain level of assets, they really should have a dedicated account rep who would work with us when we had any questions. This rep would [ideally] keep an eye on how we use the funds and suggest moving funds to accounts with higher interest rates when it made sense. I know many other business owners feel like having the local bank is key for things like deposits and such, but local banks seem to change staff often, and it's really just as simple, if not simpler, to use my phone or ipad to deposit checks (we do about 100 a month) than visiting the local branch. Up here in Maine, there are no DCU branches, but a few of the larger CUs know DCU VERY, VERY well and have daily member banking activity, just like the branch was a DCU branch. One near us used to try to convince DCU members banking there to move to their CU, but after reviewing the offerings from DCU (for both business and personal) they stopped and realized the DCU members were never going to change. They had too good a thing going! Rated 5 out of 5 by silverbird88 from Love DCU I've been a DCU member almost since its founding. Have been very happy with my personal accounts, loans, etc., so when I started freelancing I opened my business account there, too. Rated 5 out of 5 by Woodworking from Good service offering Overall a good place for a business acccount. There are a few more limitations compared to some other institutions, but on the balance it's a good choice. Rated 5 out of 5 by I2 from Great for home office Being able to do all bank transactions from home is amazing and wonderful. I haven't been to a bank or drive - up window for at least 6 months. And with no charges for common services, we will be with you for a long time. Rated 5 out of 5 by GW from Problem-Free and Fee-Free Online banking is convenient and easy. Check depositing with an iPhone saves much time and headache. Not using a fee-hungry big bank- priceless. Rated 5 out of 5 by refster from Shift money between accounts easily I like having both my personal and my business accounts at DCU. It is easy to shift money between accounts, both checking to savings (and vice versa) or personal to business. Rated 4 out of 5 by Jane from Lack of member overall business relationship. I've been a member for 31 years. My last experience at DCU was the worst in the entire 31 years. And you do not need to contact me about this rating. Rated 4 out of 5 by Scott from Excellent product I like the ablity to break out my savings accounts into specific options. Savings for tax payments, savings for equipment etc. This is very useful. Refer to the Resources tab and complete the appropriate Business Account Application to open your account today. If you have any questions regarding DCU's Business Accounts or any of our other products and services, please call the Information Center, weekdays from 8:00 am to 9:00 pm and Saturdays from 9:00 am to 3:00 pm, Eastern time. "DCU Has All the Products to Meet My Personal and Business Needs"
Financial products to help grow my business services. Electronic Services Disclosure and Agreements (.pdf format) – This covers disclosures related to DCU electronic services such as Check Cards, ATM Cards, Online Banking, and Easy Touch Telephone Teller system.